Upgrade your drives around the Big Island by purchasing a new car or SUV at our Subaru, Mazda and Hyundai dealerships. 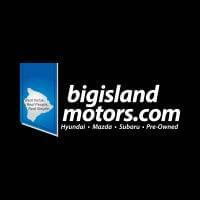 Whether you want to buy a new Subaru Outback SUV or a new Mazda3 sedan, you’ll find just what you need at our Big Island car dealerships. From our new Hyundai SUVs for sale in Hilo to our new Subaru sales in Kona, we have something for everyone, no matter where you live on Hawaii’s Big Island. Test-drive a new Subaru Impreza sedan or buy a new Hyundai Elantra model. View new Subaru specials and Hyundai finance offers before you buy and save big at Big Island Motors!